On some off chance that some of you wonder where I disappeared to, I thought I would give a brief update. I posted about it before but you may have missed it. I moved to a new blog because I found my passion. I simply love digital scrapping and it has consumed me. I spend a majority of my free time creating digital layouts. When I am not scrapping I am out taking pictures so I can scrap some more. I have even decided that I need to share my passion with the world. I have started a scrapping for hire business. Yes, I can do all of you scrapbooking for you and you can have books to save your memories forever. Yes, I know I did exactly what I said I would do when I first started this blog. I was on a roll and then my posting just fizzled out. It's not because I didn't have anything to say but because I have had a huge project in the works. I put my stamping to the side and started full force into digital scrapbooking. I have been working feverishly to get a few books made to be able to start selling them. I have also decided to start yet another blog. This will be for all of my Digital Design and Digital Scrapbooking. I don't want to say that I will never get back into stamping but for the time being it has been put to the side. I found a new hobby the fits my time and ability for the moment. Plus, it doesn't take up any more space in my house. I know, I know, I know. I have once again become a bad blogger. Honestly I have had no time because I have become consumed with Digital Scrapbooking. I had a book printed of all my pages I created of the girls from last year. It turned out so well that I am excited about the possibilities. I have begun working on a side business creating pages and books for sale. I think it will be fabulous when I have everything put together and it is up and running. I just have to do all the leg work first. This includes creating all my own papers and embellishments so I don't have to worry about copyright issues. I thought I would share with you the very first page I have created using all my own creations. Yes, I created these papers, designed the ribbon and bow, and everything else on this page. I love the more simple look. What do you think? So, what is your blog worth? Now go try this for yourself. I would love to here what your blog is worth. First let me start by apologizing. I guess it had been so long since I had posted that I didn't realize that I had already posted those coaster projects way back when. I guess I liked them so much I had to share them with you twice. 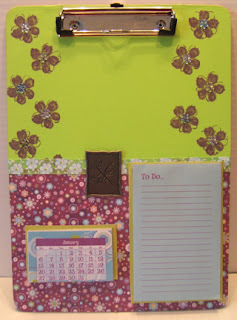 Today I will show you a few of the altered clipboards that I created recently. They are super fun to make and they can be customized for just about any use. I have been asked by a few people if I sell through Etsy or Ebay. These two clipboards are currently up for sale on Ebay. You can find all of my listings here. I sell on Ebay under the screen name calkathi. I haven't posted much because I generally sell through a private auction site because I don't know if I could keep up enough supply to list regularly. I actually just discovered Etsy today. I will have to look into that and see if it will be feasible for me to start listing there but from what I saw there would be some stiff competition. I would like to sell more since this is more of my passion than my regular J.O.B. but you all know that the day J.O.B. has to come first. I will explore selling options but at this point I am happy with just creating those items that I am drawn to even if it's only once in a while. I found some great things in the Target Dollar spot so you should see more from me in the near future. I have found a new friend. Modge Podge has provided me hours of entertainment and been my companion for the last 2 months. It seems as if a void in my life has been filled. I am still trying to understand why there are so many varieties. It would appear that they all do the same thing so what's the difference from the regular vs. the paper version? Even if I still don't totally understand, I will still enjoy my new friend. Anyhow, I have started working on some more altered art. Since I make a lot of things with the intention to sell them, I have to make examples of personalized items. This way people can get an idea of what the items will look like. My poor girls are going to be so vain because I have to use people I know so that items don't go to waste. We have far too many items now that are personalized for the girls. Here's a recent example of this. See...I told you when I started this blog that I go full force into a new project and then I sort of fade away. I wasn't certain that I would be able to keep up with this blog and I guess I sort of willed myself to stop blogging. It's ironic that my last post was about getting 1,000 hits. I hit that milestone and then faded off into the distance. That's sort of what happened. You see, I started to feel like I was losing my creativity. 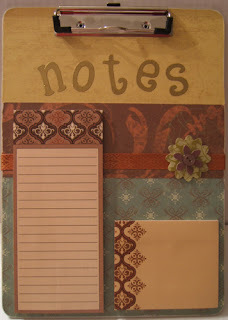 I went through a time where I couldn't come up with any new ideas for stamping, scrapping or much of anything. I needed a break. During this break I found a deeper love of digital scrapbooking. 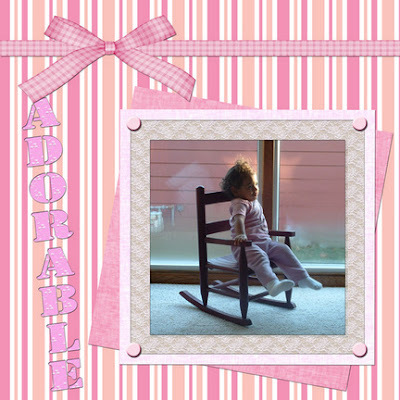 I took some time to learn how to do it using Photoshop CS2 instead of using the Scrapbook Factory Deluxe program I had been. I spent many hours working on a book of pictures and layouts of the girls year. I have it almost complete and then I am going to send it off to be professionally printed. I can't wait to see how it turns out. In the last month or so I found a bit of that creative desire coming back. I have completed a number of altered art projects. I guess what I discovered during this "break" was that I really didn't lose my creativity. I just need to use it in a lot of different ways. 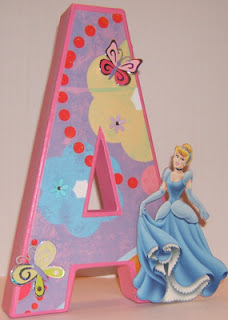 I guess the title of this blog doesn't cover the array of arts and crafts I am into. I do plan on actively starting to blog again. I will try to recap some of the projects I have completed in the last few months. For now I will leave you with photos of 2 wall hangings I created. These were made with chipboard coasters. I plan on making more because they turned out really cute and I just got my hands on some more blank coasters just waiting to be altered. I never in my life thought I would hit a milestone on this blog. I started blogging a few years ago and never kept a blog going long enough to hit any milestones. My husband put it perfectly last night. He said that I get into a project and keep going and going and then just fizzle out. I then start again and keep going and going and then fizzle out again. That isn't exactly what is happening here. This blog was started as a way for me to keep a sort of log of my projects and to share with those of you who care to see. I knew I wouldn't be able to keep up with blogging on a daily basis but I try to post as often as possible. It seems as though my life just gets busier and busier and I don't have as much time as I would like to create the projects. Because of this I don't post as often as I would like because I don't have all that much to share right now. When I create something I do share here. So, the point of this post is to just say thank you to those of you who have visited. I especially like to see those hits go up. I really love to see the new comments in my inbox. You all make me feel so special. Thank you! Thank you! THANK YOU! If you remember, a while back I won some blog candy from Kristine at Ink Something! It included 5 coasters. I had never made anything with a coaster but had seen lots of fun projects that I wanted to try. Well, today I decided to just give it a whirl on my own. I really didn't have any inspiration for these so I was pretty proud of what I came up with. I found these little hinges for hanging things on the wall and they worked out well for these. The first one was a wall hanging for the holidays. I had this set of glittery Christmas 3-D stickers. I knew I wanted to do words and these stickers. This was the end result. 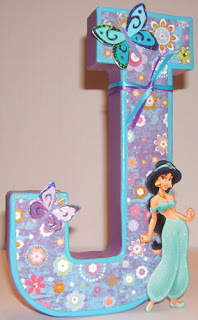 I embossed the letters with gold embossing powder. For the second project I wanted something where pictures could be added. I knew I wanted to use a wide ribbon to attach the coasters together. I only had a few different wide ribbons in purple tones. I dug through my stash to find any embellishments that were of the purple variety. I then added a place on each one where I stamped an image and saying so that the wall hanging could be used as is but I put the images in enough so that if someone wanted to add a picture you wouldn't see what was stamped. I really love how both of these projects came out. I definitely want to try some other coaster projects because these were super simple and a lot of fun to make. I know it's early but I wanted to share our Halloween digital scrapbook page we made last night.